As I continue to review barbecue sauces, I'm seeing more and more sauce companies with product lines that are larger and larger. Many are not satisfied anymore with just a couple sauces and a couple varieties of rub. Now barbecuers are expanding into marinades, hot sauces, salsas, and even jams, jellies and preserves. There are some impressive offerings out there. And then there's Lynch. At Lynch BBQ, not only can you get the sauces, the seasonings and the rubs...you can also get the pig! That's right - the Lynch family is first and foremost in the livestock business. A family operation in Iowa since 1916, Lynch Livestock is involved in nearly every aspect of the pork business, from manufacturing and selling feed to offering livestock marketing expertise. The Lynch BBQ Company, a subsidiary, offers a wide variety of sauces and seasonings, as well as Lynch's brand of bacon, sausage, bologna and barbecued meats. And yes, they also offer whole roasting pigs, from 20 to 200 pounds. 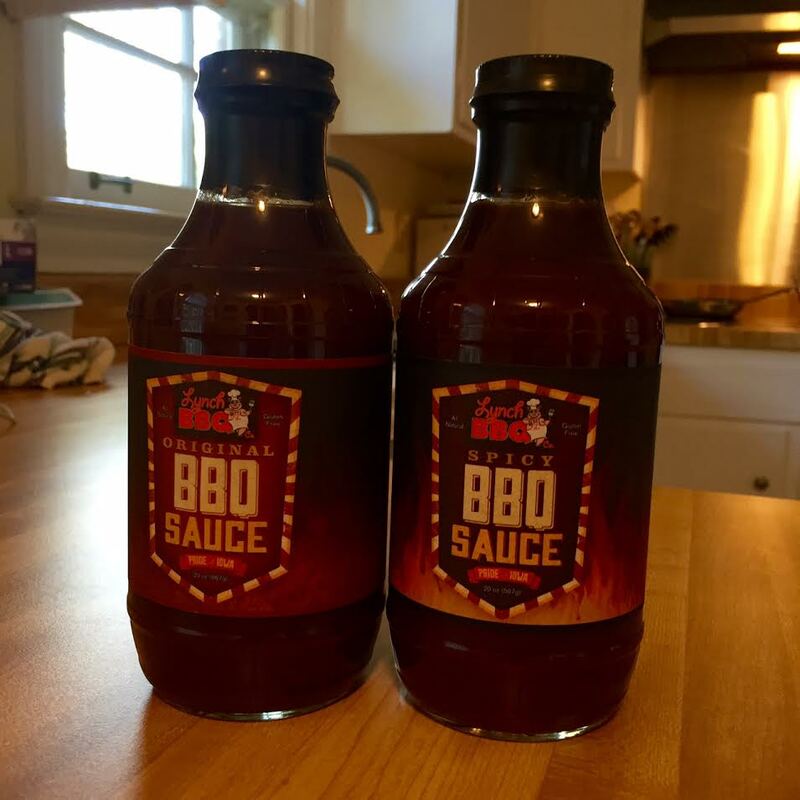 Lynch's BBQ sauces come in heavy duty glass bottles. The sauce inside is relatively thick, with that familiar reddish brown color. The mouthfeel is relatively smooth, with some fine bits detectable. The Original version is sweet and just a little tangy, with a nice pronounced onion flavor on the back end. It's a nice sauce, but I found the Spicy version to be even better. The Spicy version, however, is not necessarily any spicier, or at least hotter. It does feature a more complex blend of spices, including a noticeable hint of cumin that I really liked. It's also a bit smokier. All in all, a nice pair of sauces that do indeed do Iowa proud. It is better to use the online essay writing service for writing the Philosophy Essays. And you can search on the internet and will get the list of resources that are online and their reviews too .And by the review you can get the idea about the genuine and fake sites and also get the cheap rated services available . Then can select the cheap essay writing service for your work.